David M. Israel is an Emmy and Golden Globe award winning writer/producer who was worked with aliens (3rd Rock From the Sun), world champions (the 1986 NY Mets), relationship-challenged people (NBC's About A Boy) and morally challenged-people (Lifetime's UnReal). Elaine Hall ‘Coach E!’ referenced by the New York Times as the “Child Whisperer,” is a pioneer in using inclusive theater, film, music and movement to bring out the best in individuals of all abilities. She has worked as an on-set acting coach for Walt Disney Studios, Universal Pictures, Nickelodeon, as well as being the star of the Emmy Award winning HBO documentary, AUTISM: The Musical based on her groundbreaking theater program, The Miracle Project. The United Nations chose her memoir, Now I See the Moon, for World Autism Awareness Day; her second book, Seven Keys to Unlock Autism is used as textbook at Brown University. Elaine has been featured on CNN, CBS News, Oprah Winfrey Network, NPR and in numerous other media outlets. Her students, once too shy and withdrawn to walk into a room of their peers, have now found their voice, developed their talents, made friendships and become part of a creative, dynamic community. Some have performed live in front of thousands, held guest-starring roles in TV and film, and have even appeared on stage with Jack Black, Stephen Stills, and Neil Young. Her son, who is non-verbal is a semi-professional model, works in an organic garden and has ‘spoken’ via IPad at the United Nations. Elaine’s evidence-based methods are replicable and are being requested internationally where she offers coaching, keynote speeches, on-line classes, workshops and trainings. She is excited to bring this training to Brown University in 2017. Winnie Holzman is the co-writer (with acclaimed songwriter Stephen Schwartz) of the hit musical Wicked. She got her start writing for the TV drama thirtysomething, and went on to create the series My So-Called Life, which starred Claire Danes. She also executive produced (again with Marshall Herskovitz and Edward Zwick) the series Once and Again and (with her daughter, Savannah Dooley) the ABC Family Series Huge. Most recently she collaborated with Cameron Crowe on the showtime series Roadies. Her latest play, Choice, recently had its world premiere at the Huntington Theatre in Boston. Jan Oxenberg is an independent filmmaker whose short films with positive lesbian themes were pioneering and where shown around the world. Her feature film Thank You and Good Night was released theatrically in 1992 and tied for the Audience Award at Sundance. She was then lucky enough to be asked to write for television where she could pursue the subjects and themes she was interested in, in the context of quality network dramas, as a Writer/Producer. She is the recipient of the Guggenheim Fellowship for her film writing. Most recently she produced a 15 video social media campaign for Hillary Clinton called This Vote's For You, which alas, did not overcome the archaic electoral college result. Oxenberg will continue to pursue storytelling in multiple formats while praying for the future of us all. 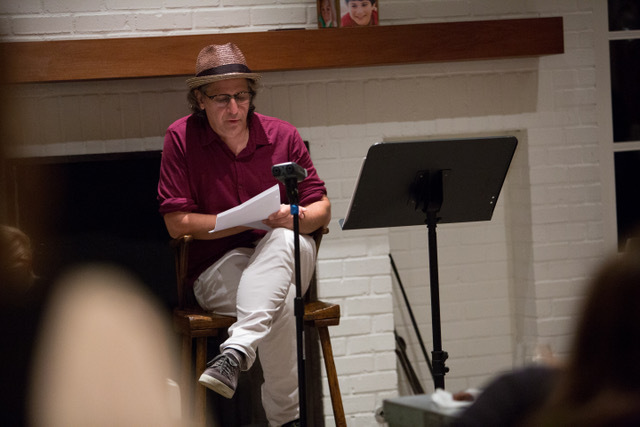 Jason Katims is a television writer who has worked on such shows as Friday Night Lights, Parenthood, My So-Called Life, About a Boy, The Path, Pure Genius and the upcoming, Rise. He lives in Los Angeles with his wife and children. Kathleen Katims is getting her MFA at Antioch University in Creative Non-Fiction. She writes fiction, poetry, short stories and creative non-fiction. She has an essay published in the Penman Review and a short story in Verdad Magazine. She is working on a book called Second Acts, interviewing, researching and writing about people who had interesting journeys out of being stuck and moved in the direction of their dreams. She founded Saved by a Story, a story telling salon with a purpose– to share stories, create community and raise money for organizations that help people tell their story. She lives in Pacific Palisades, California with her awesome husband and two cool cat kids and big brown dog. Michelle Bitting’s latest collection is The Couple Who Fell to Earth (C & R Press, 2016) which received a starred and Best of 2016 Indie medal from Kirkus Reviews. She has poems forthcoming or published in The American Poetry Review, Prairie Schooner, Narrative, Vinyl, Plume, diode, Nimrod, the Paris-American, Fjords, and others. Poems have appeared on Poetry Daily and Verse Daily. Her book Good Friday Kiss won the DeNovo First Book Award, chosen by Thomas Lux and Notes to the Beloved (C & R Press) won the Sacramento Poetry Center Book Award and received a starred Kirkus Review as well. for Pushcart and Best of the Net prizes, and most recently, The Pablo Neruda and American Literary Review Poetry Awards. Michelle has taught poetry in the U.C.L.A. Extension Writer’s Program, at Twin Towers prison and for ten years has been an active California Poet in the Schools. She holds an MFA in Poetry from Pacific University, Oregon and is completing a PhD in Mythological Studies at Pacifica Graduate Institute. Moved by “The Diary of Anne Frank,” Kim wrote “The war is over!” in her locked journal when President Nixon announced the ceasefire with Vietnam om 1973. She was 9 years old. It was the beginning of a writing career that included six years as a reporter at the Los Angeles Times, several years of freelance journalism and a decade writing films and plays while earning an MFA from UCLA’s School of Film and Television. Today, she is the Director of Development and Communications for Didi Hirsch Mental Health Services, which provides mental health, substance use and suicide prevention services throughout Southern California. She still keeps a diary. Susan Stich was born in New York City, but grew up in St. Louis since she was four years old. She worked in non profits after graduating, then found her passion in physical therapy and has worked at UCLA for the past 17 years. She has two kids, two dogs and two mortgages. Jonathon Feldman: On coming to Hollywood Jonathan Feldman was invited to the Sundance Lab with his screenplay for Swing Kids, which was subsequently produced and released by Disney. He worked on multiple episodes for the HBO series “From The Earth To The Moon.” As a screenwriter he has sold and or been commissioned to write over 20 screenplays for a variety of independents and every major studio. He has written pilots for Brillstein Grey, Sony and ABC. He is currently writing and producing a ten-part mini-series for Sony based on Alex Kershaw’s book, “The Few.” He is also developing and producing a series based on Kershaw's best-seller "Avenue is Spies" for Anne Thomopoulis (Rome, Britannia, Versailles) and Freemantle International. And he is adapting Kaitlyn Greenidge “We Love You Charlie Freeman” for Sovereign Films. He has written the book and lyrics for two new musicals currently in development, “Swing Kids” based on his movie of the same title, director Rob Ashford, producers Daryl Roth, Brandon Victor Dixon and Warren Adams. and “Never Grimm” (with music by Neil Berg), director Leigh Silverman, producers Raymond Wu and Mark Gordon. Jonathan’s play “The Death of the Novel” was produced by San Jose Rep and starred Vincent Kartheiser from Mad Men. Jonathan’s first play “The Buddy System” was produced when he was 21 at Cincinnati Playhouse In The Park and subsequently at Circle In The Square in New York. His newest play “Following Helen” was just given a workshop by the Blank Theater in La. He is developing the play with (Tony Award winner) Robert Sean Leonard attached to star and Leigh Silverman (Tony Award nominee) to direct. 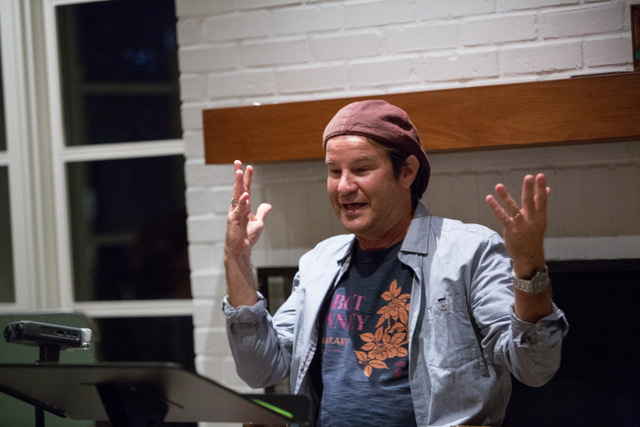 His plays have been given readings or workshops at Berkeley Rep, MCC, Playwrights Horizons, Manhattan Theater Club, San Jose Rep, and The Rubicon Theater. He was a playwright in residence at Circle Repertory Company where his play, “The Paper Boy” was directed by Joan Micklin Silver. 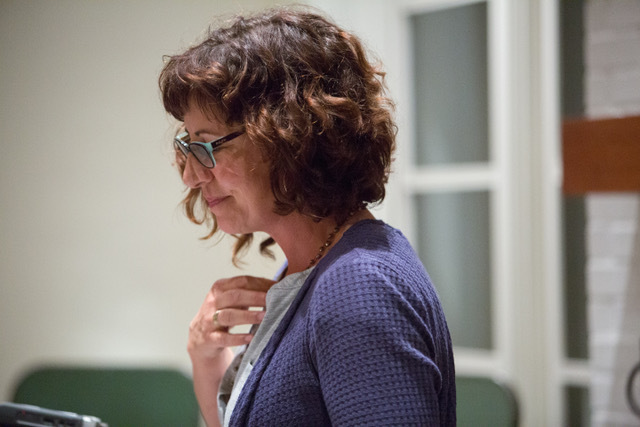 Crazy about theater, Deirdre migrated from Canada to Los Angeles to play in a bigger pond. 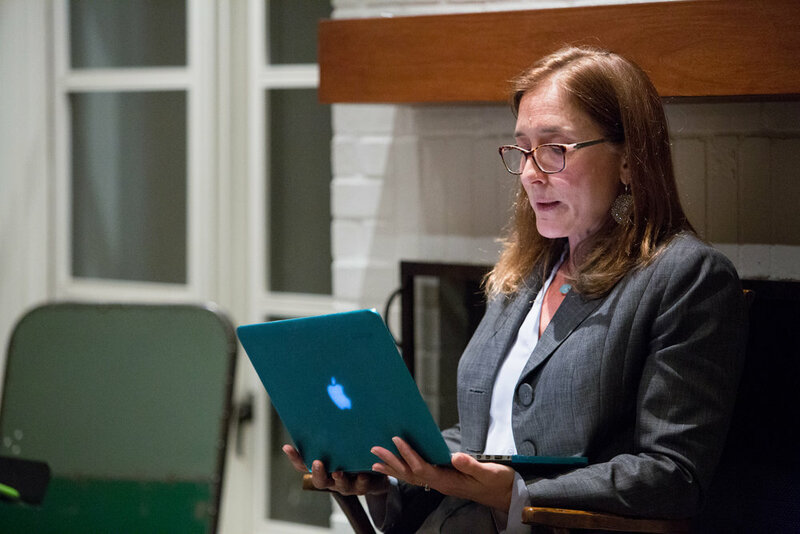 She produced theater and film until teaching and writing consumed her life. Deirdre helped start the Archer School for Girls and now works at PS1 Pluralistic School in Santa Monica. At PS1 she runs a grandparents Memoir Club and has the privilege of writing stories from her childhood to share in the Memoir Club. She completed her first collection of short fiction stories, Letting in the Light and is now working on her next collection, From Behind the Bars. Sheldon J. Cohn is President and Chief Executive Officer of Budget Mortgage Corp. When not overseeing millions in mortgages, he is rocking the free world. Sheldon has been writing songs and playing guitar since age 16. He has been in a local L.A. band called "The House Band" for over 10 years. The band has played at the Roxy Theater, the Viper Room, various other clubs and bars in the Los Angeles area as well as private parties. The band performs original songs, many written by Sheldon, as well as cover songs.